The core of the EnerTwin is a recuperated micro turbine. A micro turbine is a very small gas turbine engine. Gas turbines have proven their worthiness since the 1950s in aircraft propulsion, power plants and in industry, and are known to be very reliable. 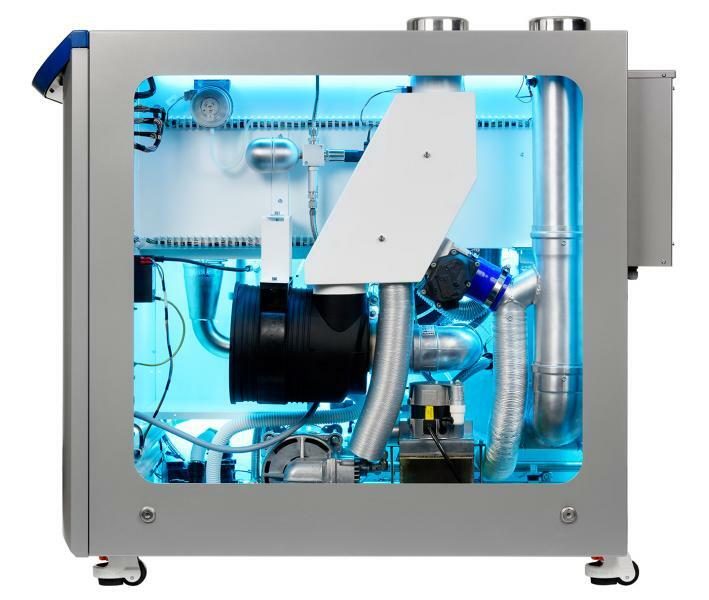 The EnerTwin micro turbine has been developed based on existing turbo charger components from the automotive industry. These are very robust and require virtually no maintenance. Unique in the EnerTwin is the integral turbo machinery rotor design. It ensures low vibration and low noise operation, guarantying long life. The EnerTwin micro turbine technology is protected by several patents. Ambient air is injected and pressurized in the compressor. The compressed air is pre-heated in the recuperator. In the combustion chamber, more heat is added by fuel combustion. The hot pressurised gas expands in the turbine, providing mechanical power for both the compressor and the generator. An "inverter" converts the power supplied by the generator to the voltage and frequency of the main electricity grid (230V / 50Hz). 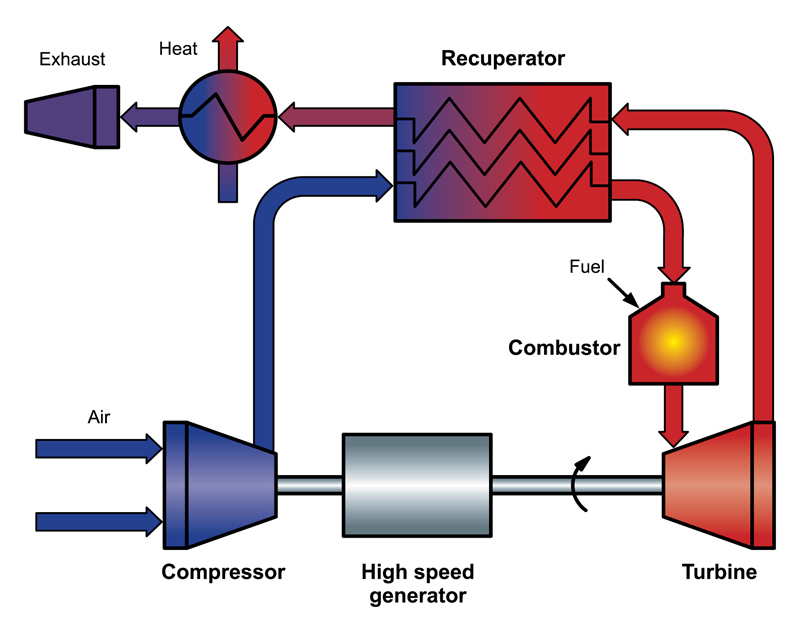 The expanded gasafter the turbine heats the air compressed by the compressor in the recuperator (see 2.). The residual heat still present in the recuperator outlet gas is transferred in the heat exchanger to water. The hot water is used for central heating and/or as tap water.